San Francisco's internationally recognized cable cars are the symbol of the individual character of a great city. 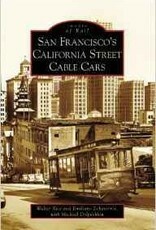 The California Street cable car line is one of only three remaining lines in the city. 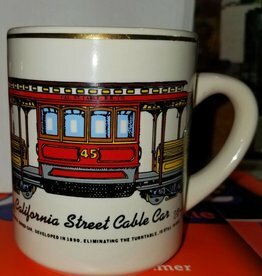 The California Street Railway, or Cal Cable, was developed and opened by Leland Stanford, one of the builders of the transcontinental railroad and later founder of Stanford University. 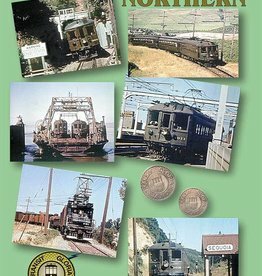 Indeed, the iconic line, intimately connected with some of the West's pioneer businessmen, was sold, expanded, and reached its peak mileage just after 1890, only to be destroyed in the great earthquake and fire of 1906. 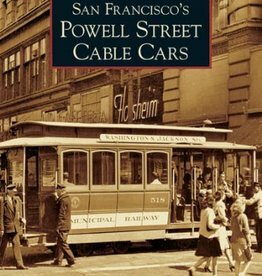 As resilient as the city it served, Cal Cable was rebuilt and lasted as an independent business longer than any other private San Francisco transit operation. 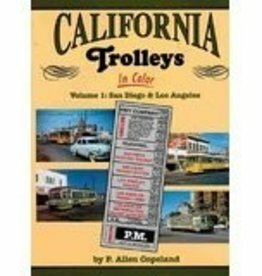 Cut down to its present form in 1954, that remnant and its double-ended cars survive as an integral part of today's cable car system.